The bench said the law and order machinery in the states have the “principal obligation to see that vigilantism, be it cow vigilantism or any other vigilantism of any perception, does not take place”. 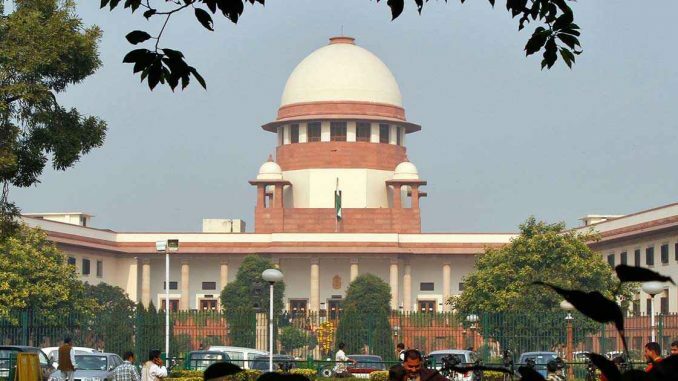 New Delhi: Condemning the “sweeping” incidents of lynching as “an affront to the rule of law and to the exalted values of the Constitution”, the Supreme Court Tuesday asked Parliament to come up with a special law to deter such crimes, saying “the horrendous acts of mobocracy cannot be permitted to inundate the law of the land”. The “recurrent pattern of violence”, it said, “cannot be allowed to become the new normal”. Delivering its judgment on petitions filed by social activist Tushar Gandhi and Congress leader Tehseen Poonawala seeking action against cow protection groups, the bench put the onus on the State and said it had “to ensure that the machinery of law and order functions efficiently and effectively in maintaining peace so as to preserve our quintessentially secular ethos and pluralistic social fabric in a democratic set-up governed by rule of law… In times of chaos and anarchy, the State has to act positively and responsibly to safeguard and secure the Constitutional promises to its citizens”. The bench said the Centre and states must carry out its directions within four weeks and file compliance reports. It warned that “lynching and mob violence are creeping threats that may gradually take the shape of a Typhon-like monster as evidenced in the wake of the rising wave of incidents of recurring patterns by frenzied mobs across the country, instigated by intolerance and misinformed by circulation of fake news and false stories”. “The exigencies of the situation require us to sound a clarion call for earnest action to strengthen our inclusive and all-embracing social order which would, in turn, reaffirm the Constitutional faith. We expect nothing more and nothing less”, the bench said. Writing the judgment for the bench, CJI Misra said “vigilantism cannot, by any stretch of imagination, be given room to take shape, for it is absolutely a perverse notion”. “When any core group with some kind of idea take the law into their own hands, it ushers in anarchy, chaos, disorder and, eventually, there is an emergence of a violent society,” it underlined. “There cannot be an investigation, trial and punishment of any nature on the streets. The process of adjudication takes place within the hallowed precincts of the courts of justice and not on the streets,” it said. The bench said “lynching by unruly mobs and barbaric violence arising out of incitement and instigation cannot be allowed to become the order of the day” as “such vigilantism… has the effect of undermining the legal and formal institutions of the State and altering the Constitutional order”. These incidents have to be “nipped in the bud; lest it would lead to rise of anarchy and lawlessness which would plague and corrode the nation like an epidemic… Unless these incidents are controlled, the day is not far when such monstrosity in the name of self-professed morality is likely to assume the shape of a huge cataclysm,” the court warned. Noting there were applications which sought intervention claiming that the violence was an outcome of rampant cattle smuggling and cruel treatment to animals, the bench said it was for the law enforcement agencies to “survey, prevent and prosecute” the offenders and no one else should take the law into their hands. “When the vigilantes involve themselves in lynching or any kind of brutality, they, in fact, put the requisite accountability of a citizen to law on the ventilator. That cannot be countenanced. Such core groups cannot be allowed to act as they please. They cannot be permitted to indulge in freezing the peace of life on the basis of their contrived notions. They are no one to punish a person by ascribing any justification,” it said. The bench said that it was not dealing with any individual case of lynching “since it has become a sweeping phenomenon with a far-reaching impact” and it was the court’s “Constitutional duty to take a call to protect lives and human rights”. “Mob vigilantism and mob violence have to be prevented by the governments by taking strict action and by the vigil society who ought to report such incidents to the state machinery and the police instead of taking the law into their own hands,” it said. “Rising intolerance and growing polarisation expressed through spate of incidents of mob violence cannot be permitted to become the normal way of life or the normal state of law and order in the country.” The court said hate crimes as a product of intolerance, ideological dominance and prejudice should not be tolerated “lest it result in a reign of terror” and “extra judicial elements and non-State actors cannot be allowed to take the place of law or the law enforcing agency”. “Pluralism and tolerance are essential virtues and constitute the building blocks of a truly free and democratic society” and “plurality of voices celebrates the Constitutionalist idea of a liberal democracy and ought not to be suppressed. That is the idea and essence of our nation which cannot be, to borrow a line from Rabindranath Tagore, ‘broken up into fragments by narrow domestic walls’ of caste, creed, race, class or religion,” the bench said. “There cannot be a right higher than the right to live with dignity and further to be treated with humanness that the law provides. What the law provides may be taken away by lawful means; that is the fundamental concept of law. No one is entitled to shake the said foundation. No citizen can assault the human dignity of another, for such an action would comatose the majesty of law,” it said.